The INTELLIREF V2 & INTELLIREF V2 Low Temperature controller simplifies refrigeration control by combining the functions of a thermostat and defrost time clock. This robust design provides a wide range of medium & low temperature applications with air electric* defrost. H2: The built-in defrost clock performs defrost cycles according to scheduled intervals or at precise times. Easy-to-understand thermostat that eliminates end user frustrations that come with overly complicated modules available today. These controllers provide precise system operations, a user-friendly interface, and a battery powered real-time clock, that won’t shut off during a power outage. 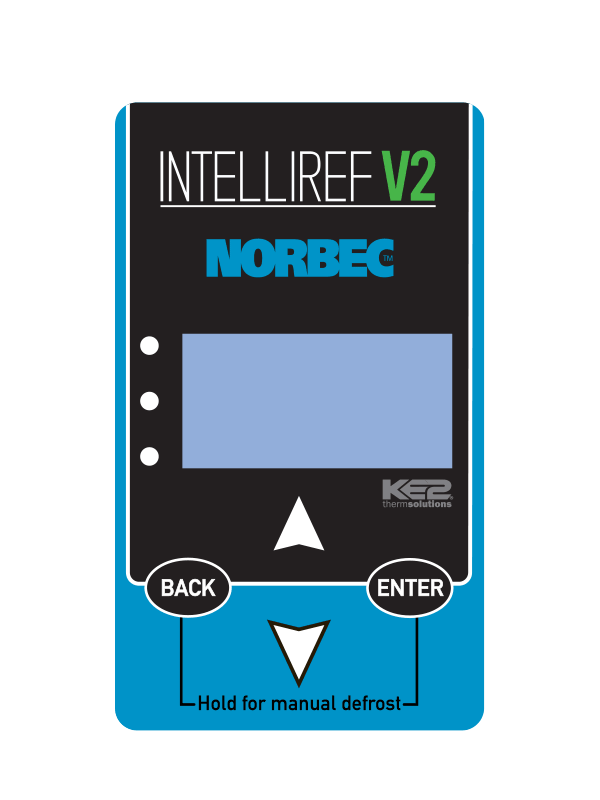 The Intelliref V2’s high value features come at a low cost compared to the benefits it brings such as keeping food from spoilage, expensive service calls, and energy efficiency. Nothing compares the peace of mind brought on by knowing the investments made are secure and monitored. Food needs to be maintained at cold temperatures to prevent the growth of bacteria and other microbes that make food spoil. If there is a problem with the refrigeration system, knowing as quickly as possible can prevent food and money loss. The LDA & Data Logging options are a cost effective and worry-free solution to prevent food loss, save on expensive service calls and meet health requirements.